West Hillhurst residents are actively engaged in their community and keeping them informed is our top-priority. 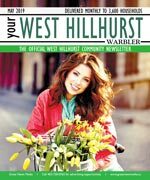 Your West Hillhurst Warbler is the official community newsletter, and covers community news and is published monthly to keep content current and relevant. Delivered to every household, apartment, and business, every resident is acquainted with the community’s most important information. West Hillhurst is home to an active community centre which offers physic classes, an after school centre and daycare. The facility is also used by the Boy Scouts and Girl Guides, and for other programs including jazzercise, martial arts and squash. The community skating rink is also popular, and is used by amateur sports teams, the Canskate youth skating program, seniors skate and public skating. Calgary’s most active seniors group, the Go Getters, is also based in Hillhurst. West Hillhurst is also planning substantial renovations to its community centre, and, upon completion in 2004, the centre will contain new squash courts, a running track, exercise and meeting rooms and an indoor skating rink. In the City of Calgary's 2012 municipal census, West Hillhurst had a population of 5,802 living in 2,947 dwellings, a 0.8% increase from its 2011 population of 5,757. With a land area of 2.4 km2 (0.93 sq mi), it had a population density of 2,420/km2 (6,260/sq mi) in 2012. Residents in this community had a median household income of $52,092 in 2000, and there were 16.4% low income residents living in the neighborhood. As of 2000, 12.8% of the residents were immigrants. A proportion of 30.6% of the buildings were condominiums or apartments, and 44.1% of the housing was used for renting. For more detailed info visit the City of Calgary community profiles site.